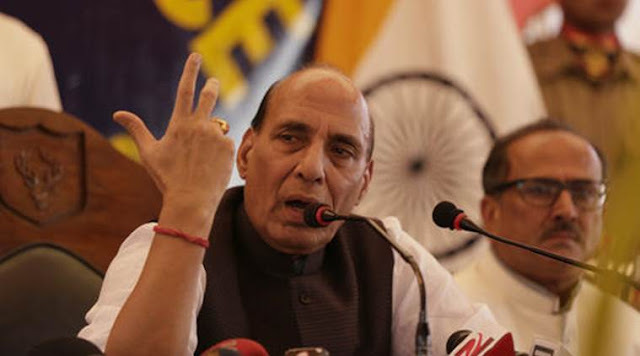 Home minister Rajnath Singh used the opportunity of his visit to Pakistan to slam it, while on its soil, for its support to terror, and for its inaction against UN-designated terrorists like 26/11 mastermind Hafiz Saeed. In his address on Thursday to the Home Ministers Conference of SAARC countries in Islamabad, Rajnath said that no terrorism should be glorified. His remarks came against the backdrop of Pakistan PM Nawaz Sharif recently paying tribute to Burhan Wani, a Hizbul terrorist, who was killed in an encounter in Jammu & Kashmir on July 8. Sharif had called him a martyr.